Reflective insulation (also called a radiant barrier) is a metallic foil material (usually aluminum) designed to block radiant heat transfer across open spaces. According to the Dept. of Energy's (DOE) Radiant Barrier Fact Sheet, reflective insulation can be effective at reducing cooling bills and, possibly, reducing heating bills in homes. DOE also states that the performance and long-term cost-effectiveness of the product depends on number of factors, including: where the product is installed, how the product is installed, and the amount of existing insulation currently in the home. Nationwide PERMAKOTE® 12 year ELASTOMERIC ceramic insulating roof coating is a premium Quality ELASTOMERIC Waterproofing Acrylic, Insulating CERAMIC Protective Roof Coating System. CLASS A FIRE RATING as per National Fire Protection Association NFPA 101 Life Safety Code (ASTM E 84-01). Excellent Ultraviolet Reflectivity and Durability. Superior Insulating and Soundproofing Properties. Excellent Mildew Resistance. Protects and Beautifies. Colors Available. Must be used with PERMABOND or METAL-PRIME for Warranty. SLOPED ROOFS ONLY. 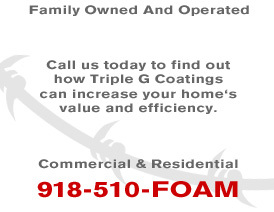 © 2019 Triple G Coatings All Rights Reserved. 1 Corinthians 10:31 "...do all to the glory of God."